Lavy BL, Julian JP, Jawarneh RN. 2016. 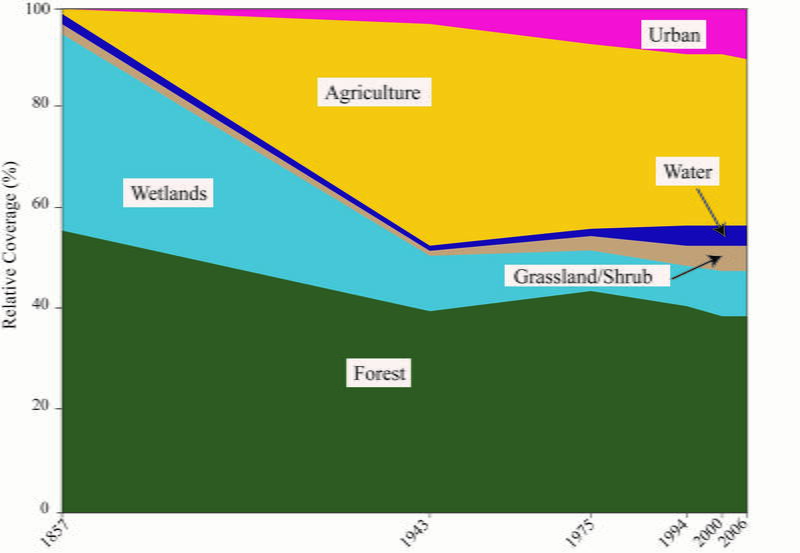 The impact of past and future urban expansion on soil resources in central Arkansas (USA), 1994-2030. Papers in Applied Geography 2(1): 25-39. Jawarneh RN, Julian JP, Lookingbill TR. 2015. 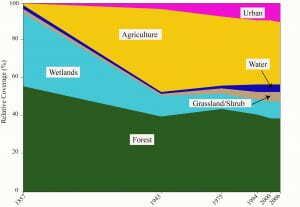 Physiographic influences on historical and future urban growth: Case study of central Arkansas (USA), 1857-2030. Landscape and Urban Planning 143: 76-89. Tran TV, Julian JP, de Beurs KM. 2014. Land cover heterogeneity effects on sub-pixel and per-pixel classifications. International Journal of Geo-Information 3(2): 540-553. Jawarneh RN, Julian JP. 2012. 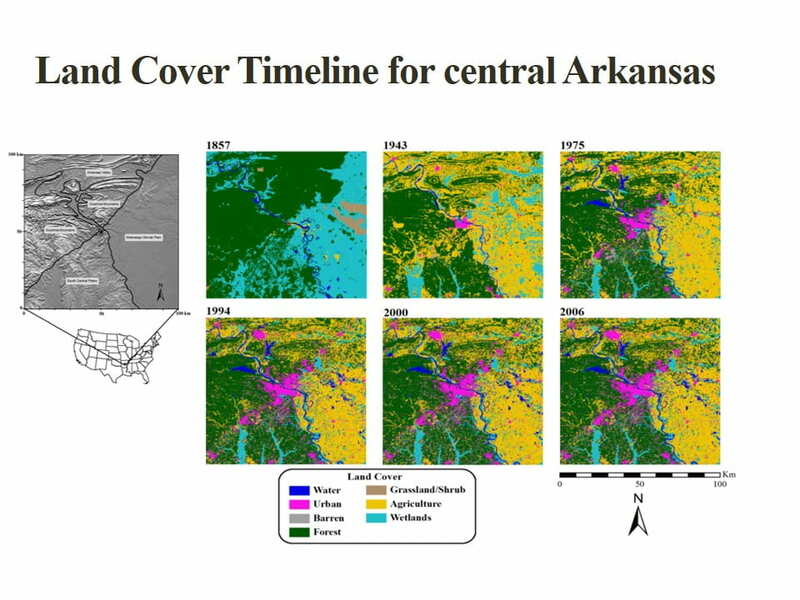 Development of an accurate fine-resolution land cover timeline: Little Rock, Arkansas, USA (1857 – 2006). Applied Geography 35: 104-113. Comments on the contents of this site should be directed to Jason Julian.